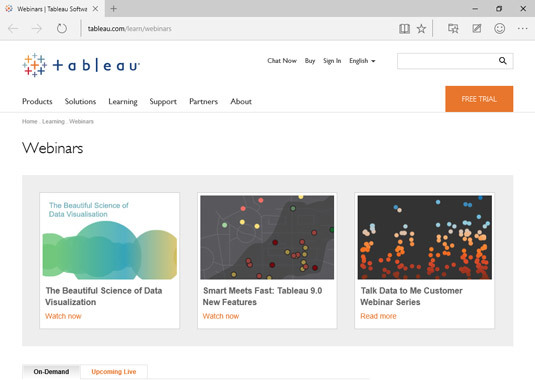 It really wouldn’t be possible to cover everything there is to know about Tableau in one single place, so here are some great places where you can find out just a bit more. What’s better than free? You can find great free Tableau training here. 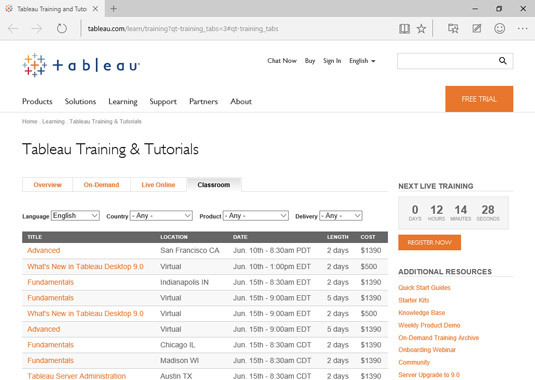 Find free on-demand Tableau training here. Want some more hands-on training? Tableau training is offered at a variety of locations, with a variety of levels of depth, and provides tons of opportunities to get your hands dirty with the product. Find hands-on Tableau training here. Sometimes the best help comes from discussions with other users. Tableau has an active online user community. Many local communities also offer customer-led Tableau user groups where you can meet other Tableau users in your area. 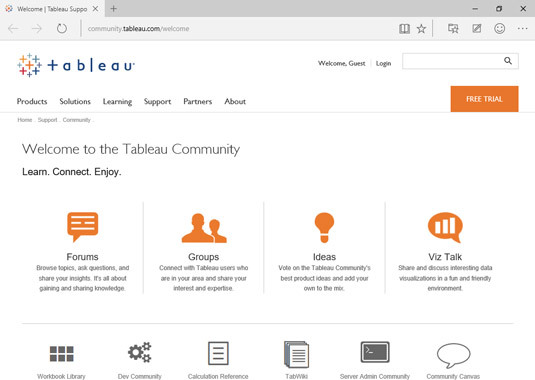 Tableau users find community discussions here. 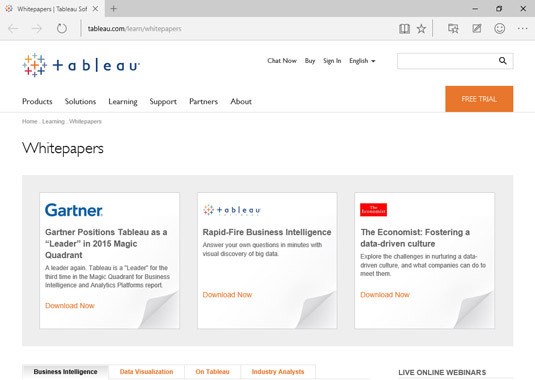 Tableau maintains a very useful knowledge base where you can find tons of information. Check it out! 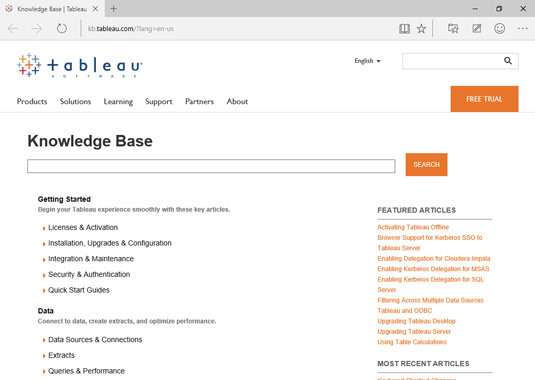 The Tableau Knowledge Base will help you find answers. Want some inside help? 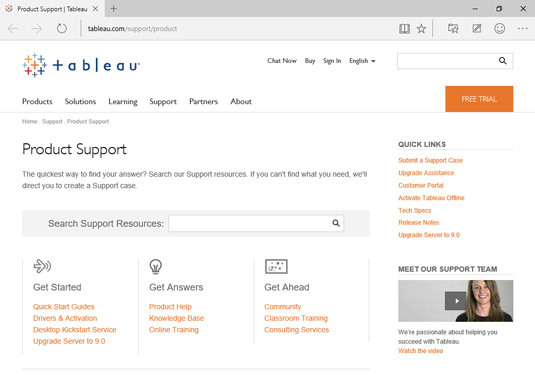 Try Tableau Support. 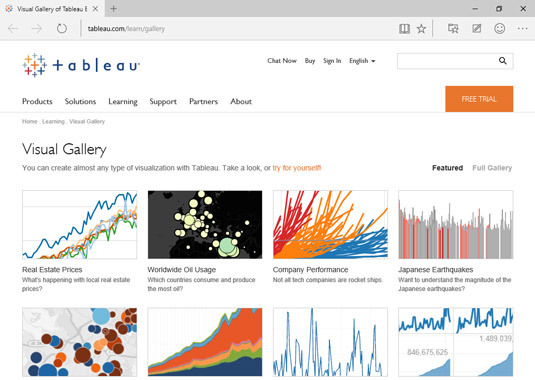 Here’s where you will find official support for Tableau. Need some ideas about what you can do with Tableau? Have a look at the examples in the Tableau Visual Gallery. Here’s a great place to see what Tableau can do. White papers are a great resource, especially when you need to explain why Tableau is right for your company. Tableau offers great white papers here. Webinars provide knowledge direct from the experts. Find these Tableau webinars here. Find many useful Tableau webinars. Want to go to a Tableau event to learn more about the product and connect with other users? Check here to find an event in your area. 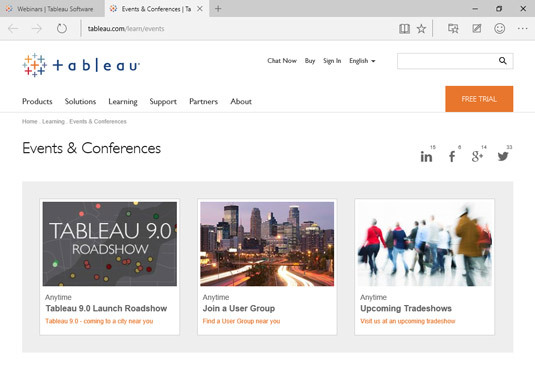 Join other Tableau users at these events.